Personally I have a thing for the Refuge of the Magi and End of Eternity(?). Although The Barrens hold the distinction of being the first realms people visit, home to a deity who carries some of the best spells in the game and being relatively easy to draw. One does need to keep in mind, that The Barrens would most likely look considerably more otherworldly, had it not been for game limitations, as it is literally a magical sub-plane of existence. Which makes it great for illustrative freedom... if a tad demanding. Hope you finish this at some point as I am genuinly intriqued. 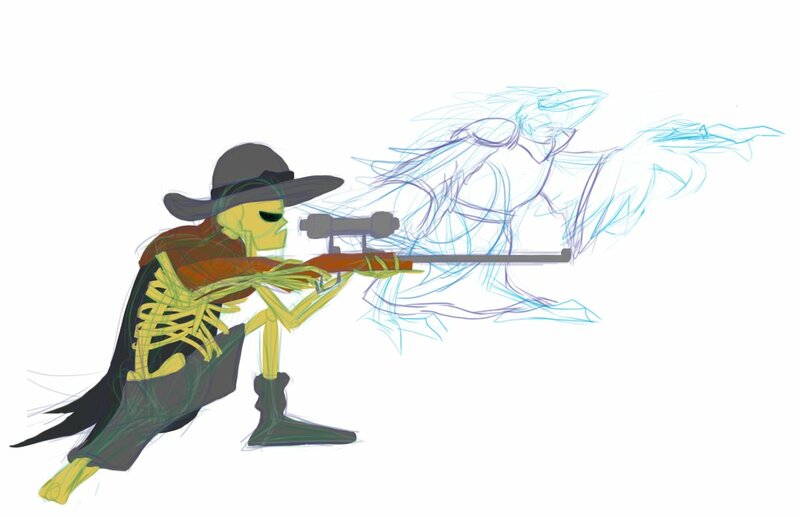 Flat colors on Skeleton Sniper finished. 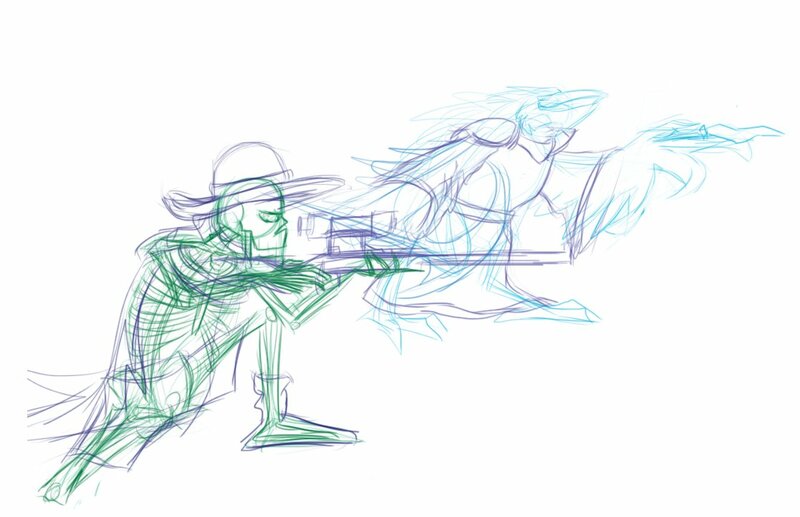 Gonna be a couple of my monsters (Skeleton Sniper and Raven Ritualist) exchanging some banter prior to starting a battle. I might add my Unicorn Vivifier in the background too, though I haven't decided where these guys'll be fighting yet (bad habit of drawing the figures before I draw the background--need to fix that sometime). Any suggestions?